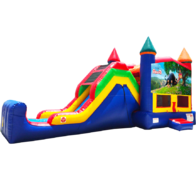 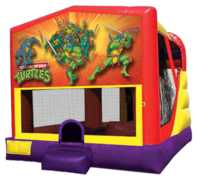 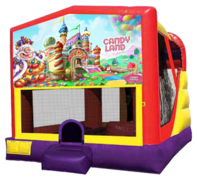 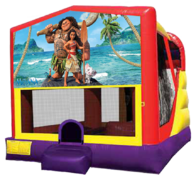 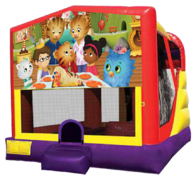 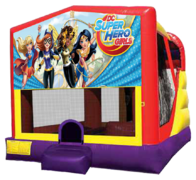 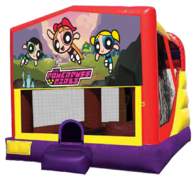 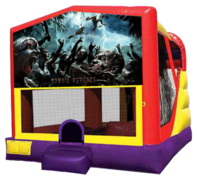 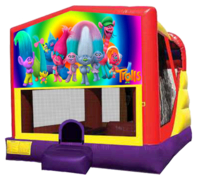 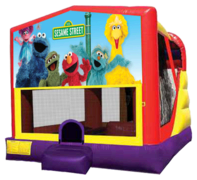 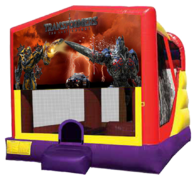 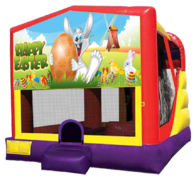 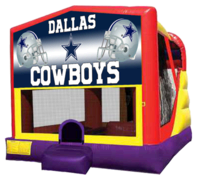 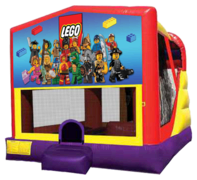 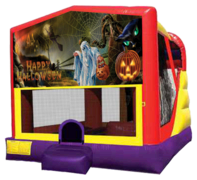 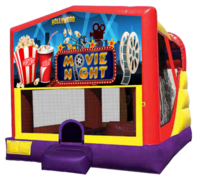 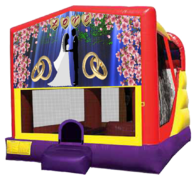 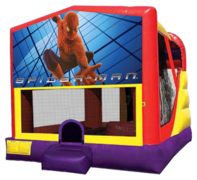 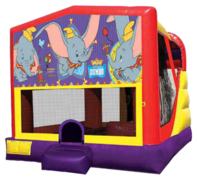 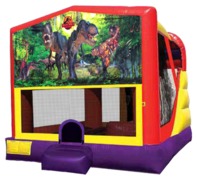 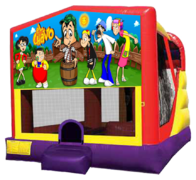 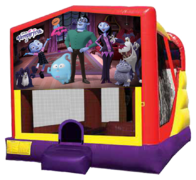 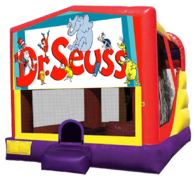 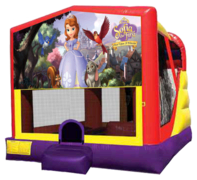 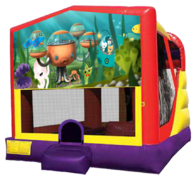 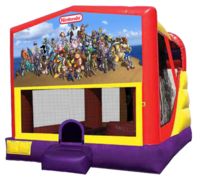 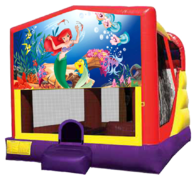 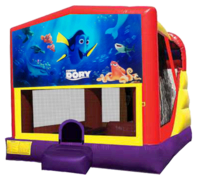 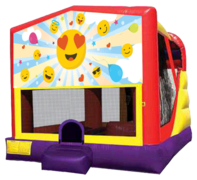 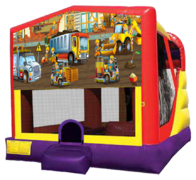 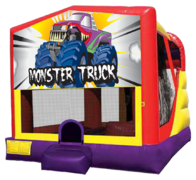 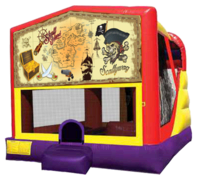 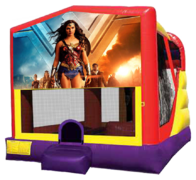 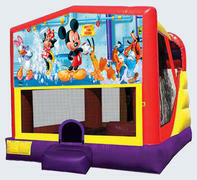 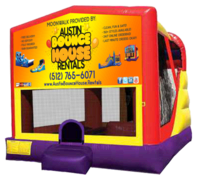 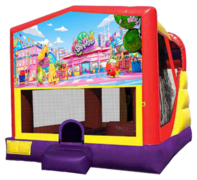 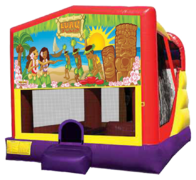 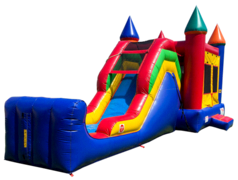 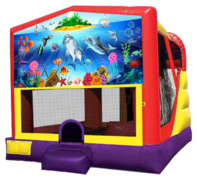 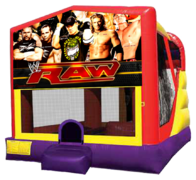 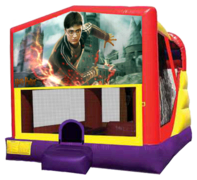 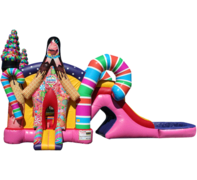 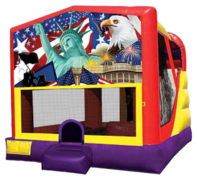 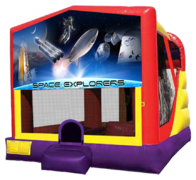 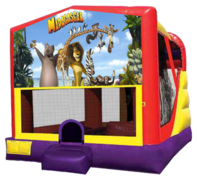 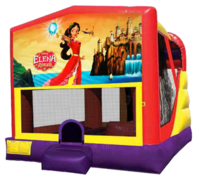 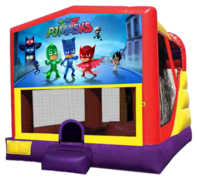 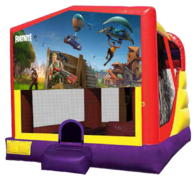 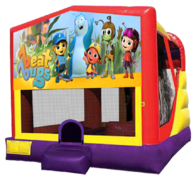 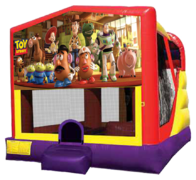 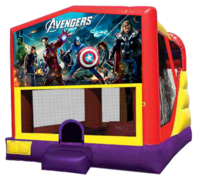 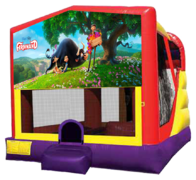 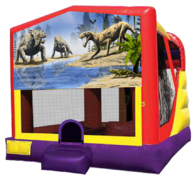 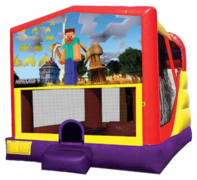 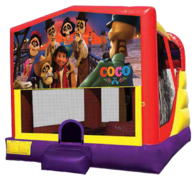 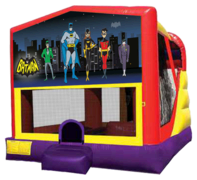 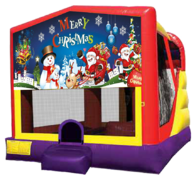 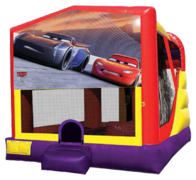 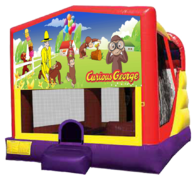 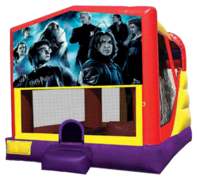 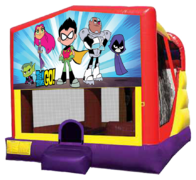 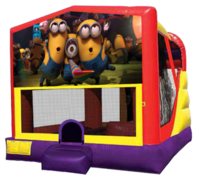 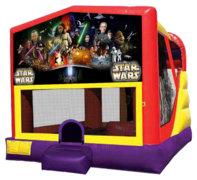 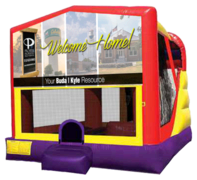 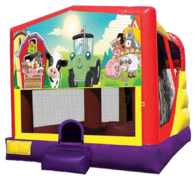 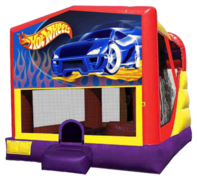 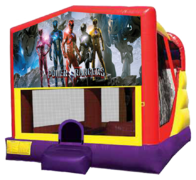 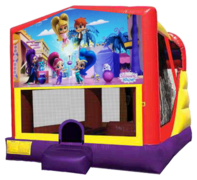 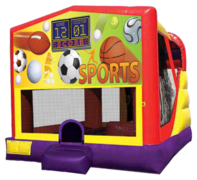 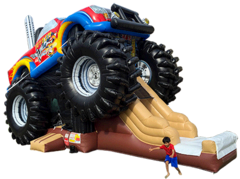 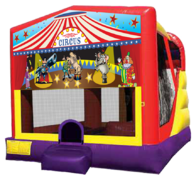 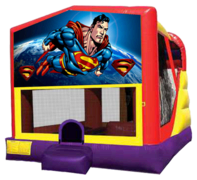 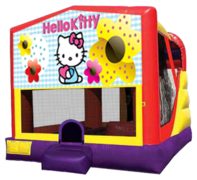 Our Bounce/Slide Combos are our most popular item! 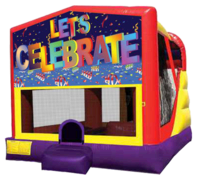 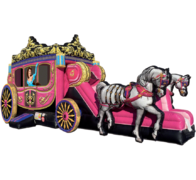 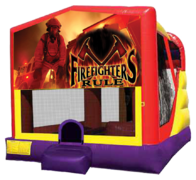 These new units have all the latest safety features and boast bright colors, exciting floor plans and come in many different themes to appeal to every child on their special day! 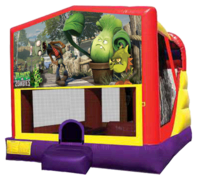 All combos feature a large bouncing area, a climber, slide and basketball hoop. Upgrade to a water slide on most combos!